A clue is on this cover! Oh, no! Cora has lost her spots! Follow along with her on an adventure around the farm to find them! This is an amusing tale in a series all about Cora the cow. I absolutely loved the spots the other animals created for her! Very imaginative. My favourite spot is the cute paw prints, and the best method of getting colour on Cora has to be the animal with a water pistol-I giggled lots when I saw that! Who has it and what colour is in the water pistol is a secret, you'll have to read the book for that funny moment. 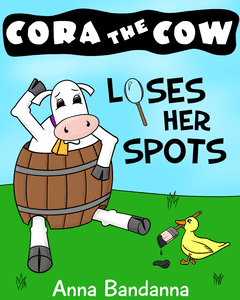 I expect readers will enjoy thinking up their own colour for Cora's spots, including the shape and how to get them on her. Thankfully she does retrieve her own spots by the end. There are positive messages about helping others, and searching for answers until you find them. This is a brilliant series with lots of laughs and imagination that's on my reread shelf. Cora the Cow loves playing in the grass. But can she find someone else to play with? Follow along with Cora's adventure as she learns how important friendship is! 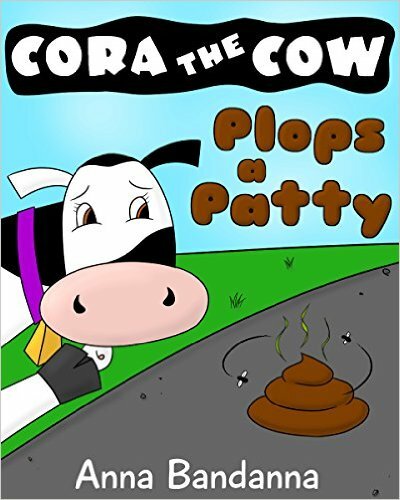 I think this is a great addition to the Cora series, because while so many people are nice enough for a friend, a good friend often has something in common with the other friend, a fact Cora learns for herself. 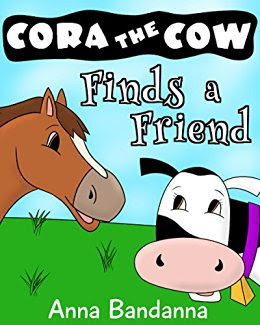 I liked the activities each of the animals did, they looked very happy, although poor Cora didn't find a match for a friend straight away.This made me sad, but it's true to life as people often take time to find their friend. 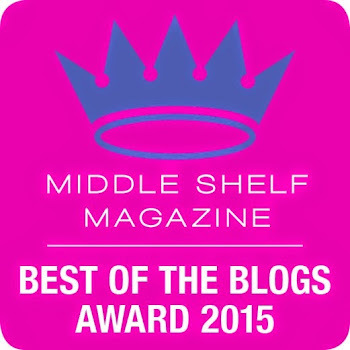 Find out more about both books on Anna's website.